Welcome to roadfan.com! This is a joint website between Marc Fannin and Sandor Gulyas covering many aspects of roads and highways. This answers the most frequently-posted questions on the Usenet newsgroup misc.transport.road . This page is a list of people who have extensive knowledge pertaining to roads and highways and related subjects, and who have provided correspondence so that people who have questions on the subject may contact them. Details on a system of highways in the U.S. proposed in 1944 but never implemented. 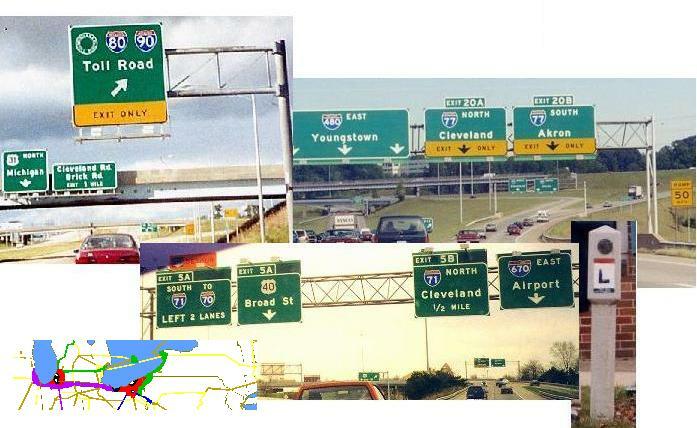 The webpage describing the roads and highways in the area of Michigan and Indiana surrounding South Bend, Indiana. Details about roads in each region of that state. Photographing the scenic majestry and urban wonders of the Keystone State. Logs of the places that Sandor and Marc have visited. Thanks to WCMH-TV Columbus, the Columbus Dispatch, the Indianapolis Star, the St. Louis Post-Dispatch, and Builders Exchange magazine for mentions!